Wellspring Family Services, just a bit east of Beacon Hill on Rainier Avenue, is holding a free Holiday Open House this Saturday, December 3. 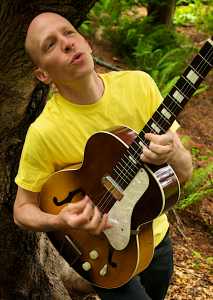 The event will feature a special performance by Caspar Babypants (otherwise known as Chris Ballew from The Presidents of the United States of America). Caspar will be debuting a brand-new song written about the winner of this summer’s Kids Helping Kids coin drive contest. 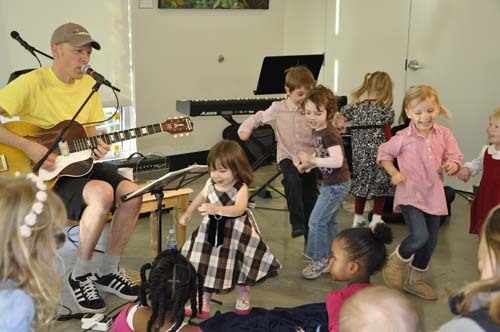 The event runs from 10 a.m. until 3 p.m. at Wellspring, 1900 Rainier Ave. S. Caspar Babypants performs live at 1 p.m., and there will also be holiday treats and tours of the facility. Admission is free for all ages, however, you are encouraged to bring a new, unwrapped toy to donate to the Wellspring Holiday Toy Room. The Toy Room is a place where homeless families may come and choose gifts for their children. Wellspring expects to share gifts with over 1,000 children in this year’s Toy Room. 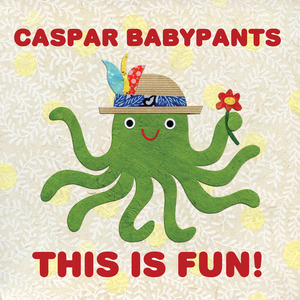 Caspar Babypants performs for happy, dancing children. Photo courtesy of Wellspring Family Services. 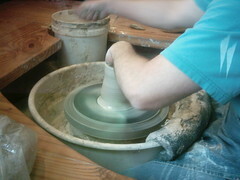 Pottery classes are among those available for $2 Try-Its at Jefferson Community Center. Photo by Robert Nunnally via Creative Commons/Flickr. It’s September, and if your thoughts are turning back-to-school, you might be interested in some of the classes being offered here in (or near) the neighborhood. Jefferson Community Center, along with all of the other city community centers, is once again offering $2 Try-Its. Anytime between September 20 and October 9, you can try a class for $2. If you like the class, you can then register at a pro-rated amount. Certain classes and childcare are not included in the promotion. For more information along with class dates and times, please call 206-684-0167. The Fall class brochure is available here. The community center is located at 3801 Beacon Avenue South. The course is $150 per couple, with scholarships available. Classes are on September 11 and 25 from 9:00 am to 4:00 pm. For further information, contact pgray@wellspringfs.org or call 206-826-3039. Wellspring is located at 1900 Rainier Avenue South. (Article updated 9/13/10 to reflect date correction — the $2 Try-It promotion runs from September 20-October 9, not September 8-October 8).